If your kids like the I Spy books, or Where’s Waldo, they are going to love Carson Ellis’s Home. 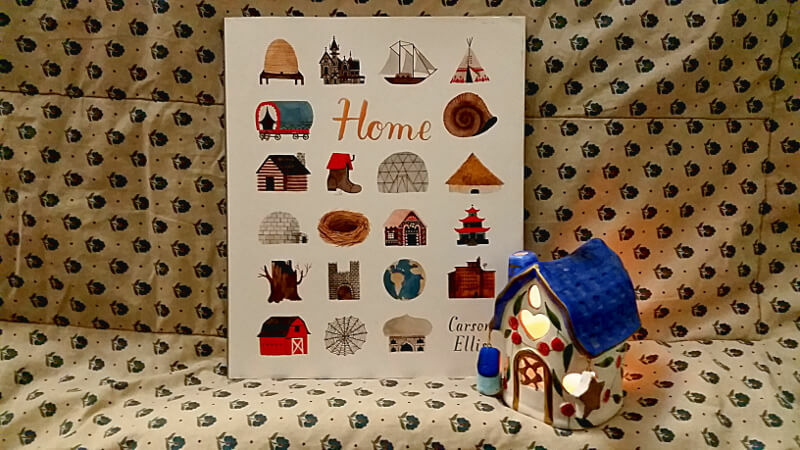 If anything, Home is more interesting and more intriguing than any of the other books in the “can you find it” genre, because Ellis doesn’t tell you what’s going on in the illustrations. You have to figure it out for yourself. While you’re looking at the whimsical illustrations, at some point you notice the white teacup with the blue stripe. “I think I’ve seen that before,” you think. And you flip back through the pages. And sure enough, it’s there, on the previous page, and the one before that, and the one before that. And then you notice something else that is repeated from a previous page. You keep noticing things. And keep looking for things. It is so much fun. There isn’t a story in Home. It’s the same sort of book as The Great Big Book of Families. Except that, instead of different types of families, Home shows different kinds of homes. Some of the homes that Carson Ellis includes in the book are pure fantasy – like the Norse god’s home, or the Atlantian’s home. Or the home of the Moonian, or the old woman who lives in a shoe. Some are comfortably familiar, like the house in the country, or the apartment, or the home where a babushka lives. Orthodox Christian children will be delighted to see that the babushka has an icon on the wall of her kitchen. They might expect to see St. Euphrosynos in the kitchen, but it’s not him. I think it might be King David. I know kids will love looking for things that appear in more than one picture in Home. But Ellis does something else to engage her readers. She addresses questions directly to them. So, for example, on one spread, she asks, “But whose home is this? And what about this?” And what a perfect spot that is for you to stop and wait for your little one to answer the questions. They may have answers that will surprise you. 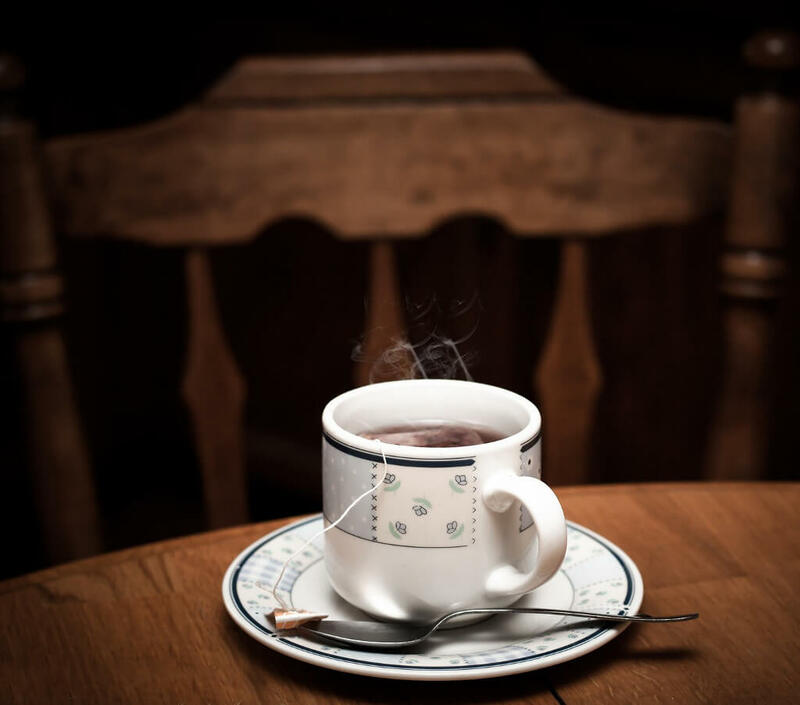 They may create a whole story for you, about the home and the teacup and why it’s there. Be prepared to spend a lot of time with your littlest ones on your lap, sharing this book. And be prepared for your more independent booklovers to spend loads of time with the book, combing through the illustrations with delight as they find first one thing, and then another. The Boy, a Kitchen, and His Cave: A Review: We don’t actually know much about St. Euphrosynos. 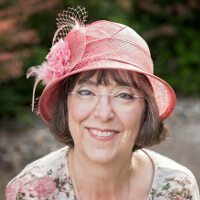 Catherine K. Contopoulos fills in the blanks with an intriguing story. 17 essential picture books for Orthodox Christian kids: The books on this list all have Orthodox Christians as major characters in the stories. Picture books are for grownups, too: If you don’t have a little one to get a picture book for, here are 8 good reasons to get one for yourself. The creative book found the creative writer!